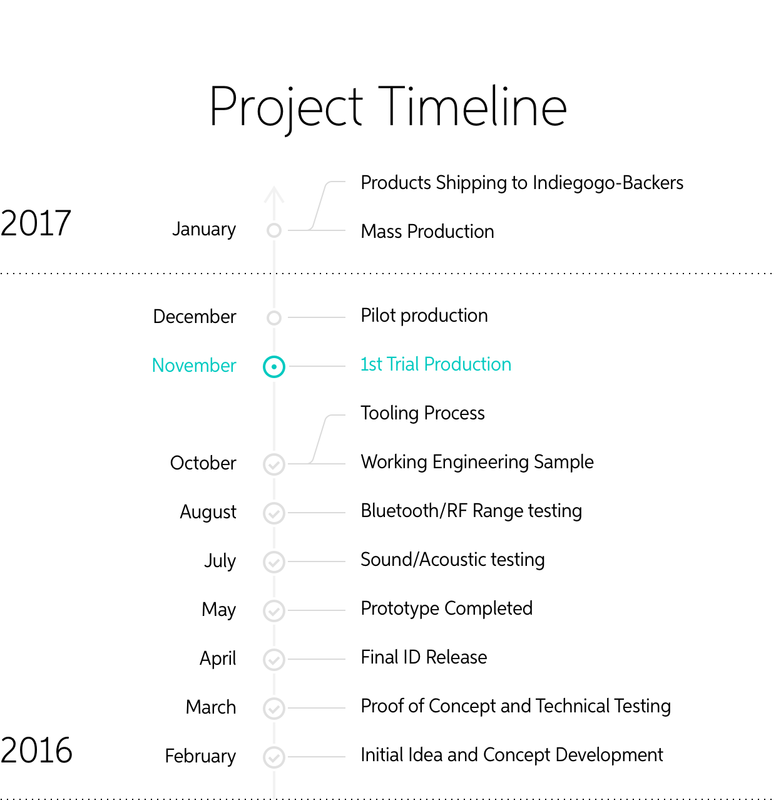 We believe wireless is the future of music, so we spent the last 12 months putting our passion for perfection to the test, creating the next generation of revolutionary wireless headphones. 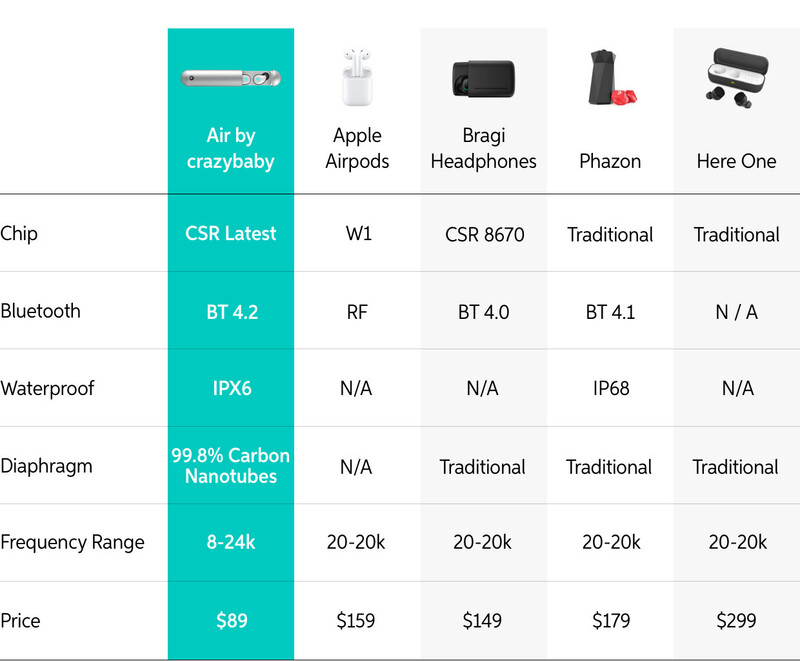 Air is the first acoustic device in the world to implement carbon nanotube technology. 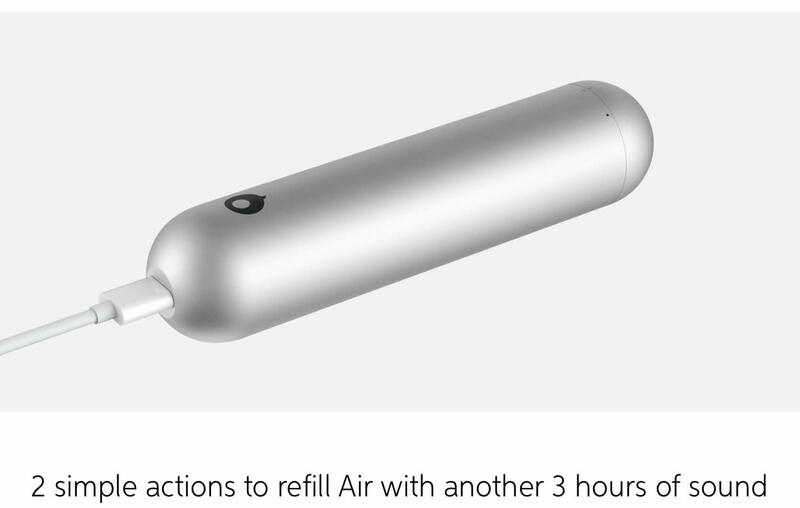 This is a major industry breakthrough that will allow Air to have a comfortable, ergonomic design while looking, feeling and, most importantly, sounding spectacular. 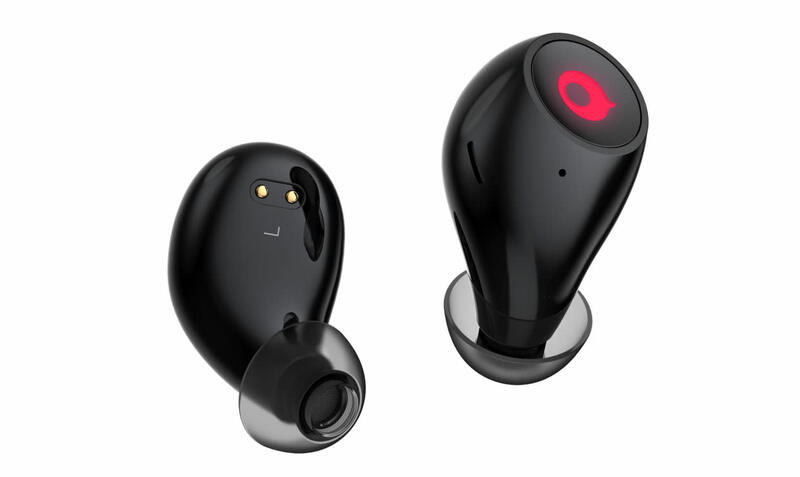 We’ve spent thousands of hours working with world-class acoustic labs and audio engineers to develop the very best wireless headphones - Air has been built with a 5.2 mm customized speaker driver, and utilizes a cutting-edge Carbon Nanotube diaphragm and the latest CSR chip. 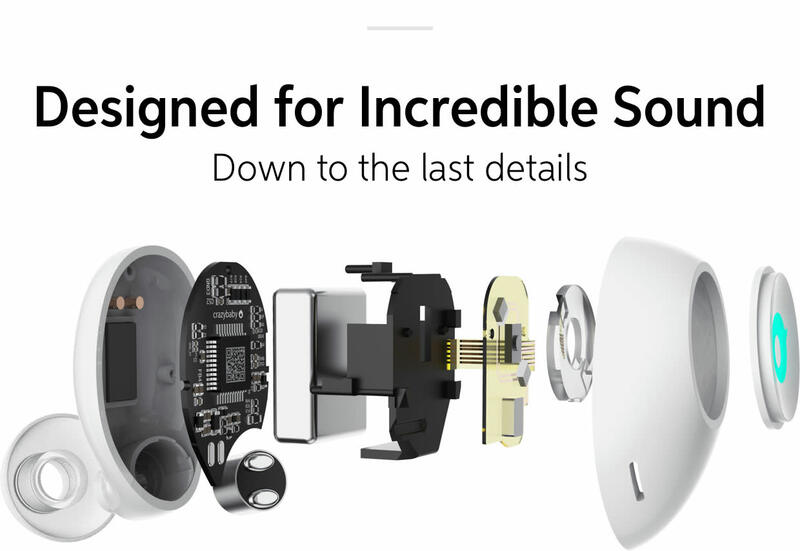 These features unite to deliver a design that immerses you in your music, the way it was meant to sound. 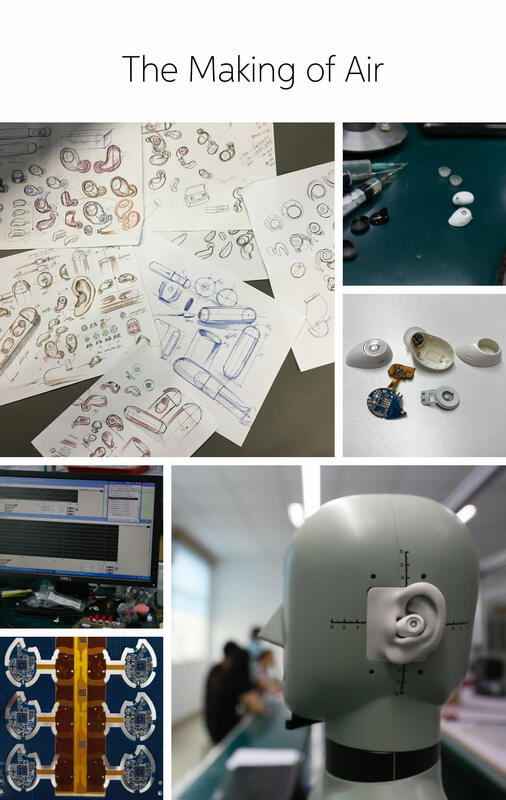 To guarantee a secure, comfortable fit for every user, we scanned and analyzed hundreds of ears. Then created a variety of size combinations to fit them. Additionally, we created three “Sport Sleeves” for using with strenuous exercise - made with medical-grade silicone, these sleeves are ultra-light and skin-friendly. 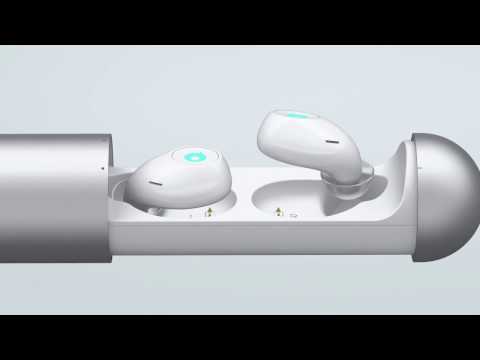 In contrast to other wireless headphones, Air is designed to fit ergonomically, without adding pressure to the conch and ear canal areas. 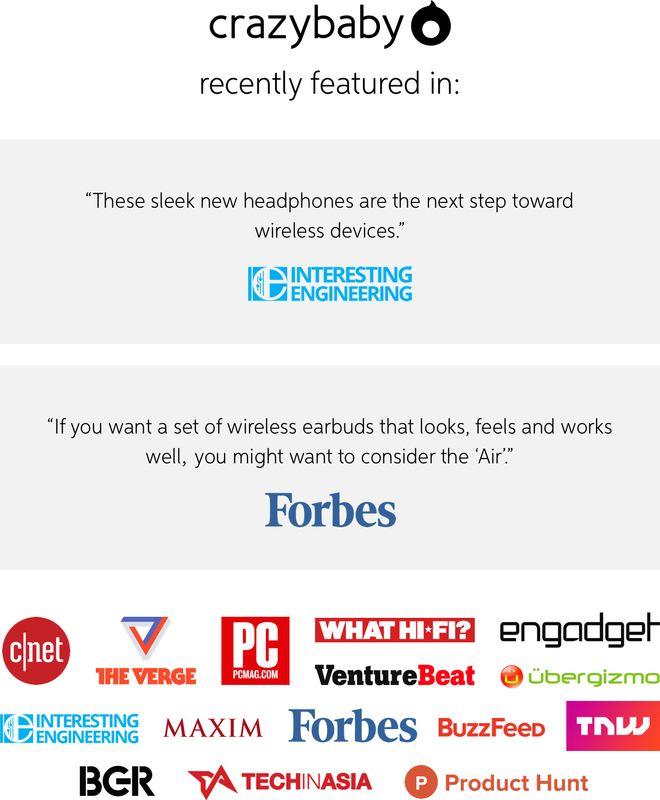 Air has what it takes to follow you through even your most eventful days, providing the soundtrack to your daily life. 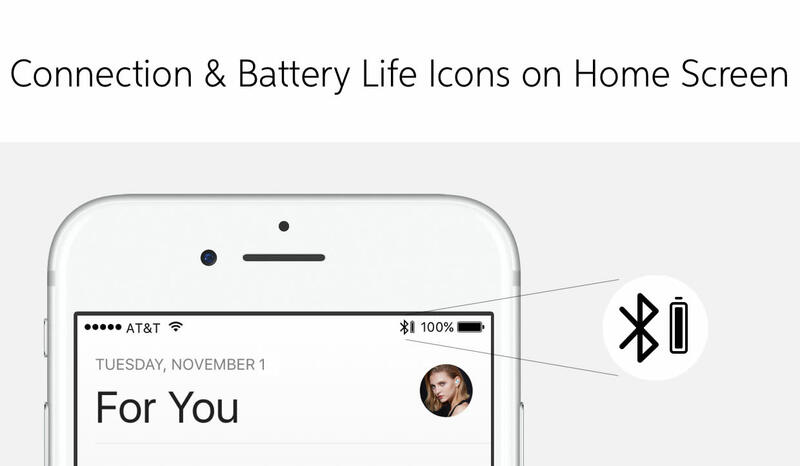 Simply pair with your Amazon Dot to talk to Alexa, no matter where you are. 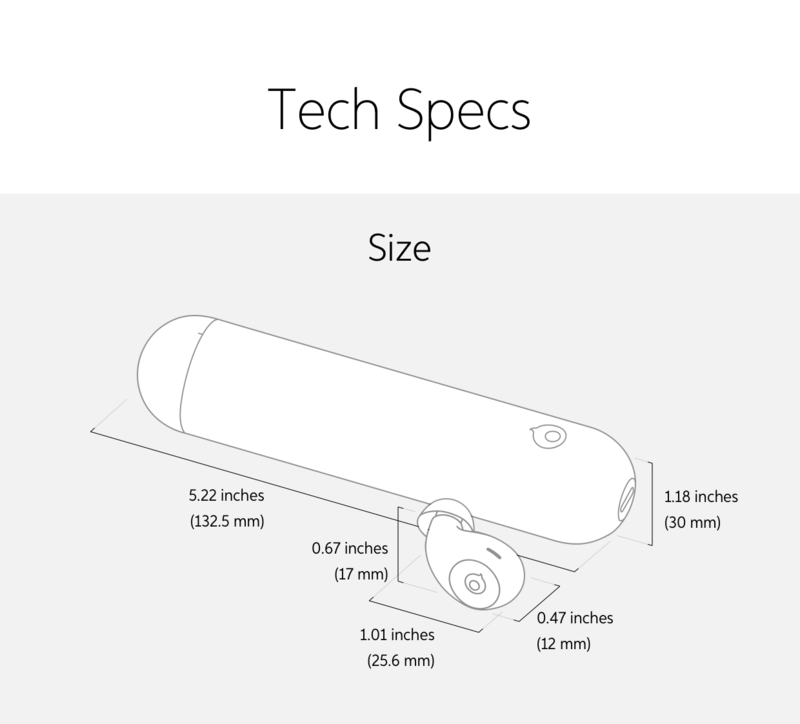 With a water-resistant rating of IPX6, Air will always be ready for the unexpected - whether you’re training for a marathon or shredding a double black diamond. 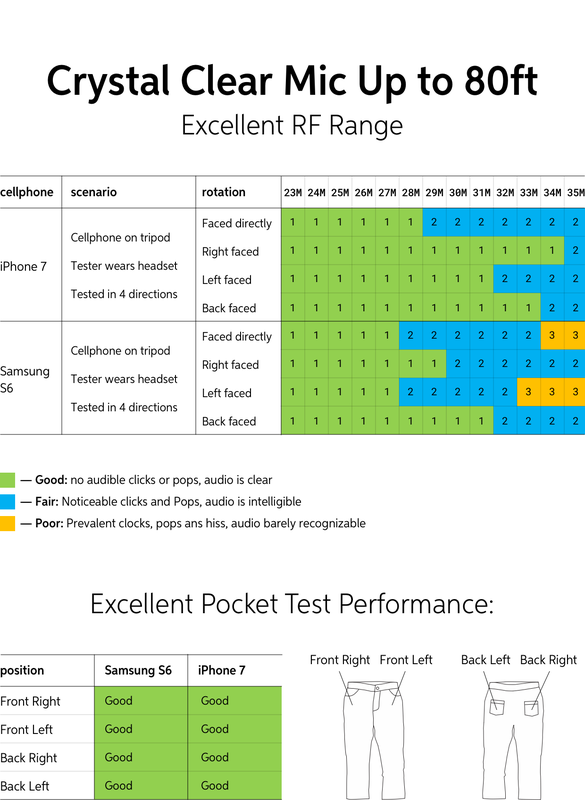 We've improved upon our own high standards of acoustic performance. 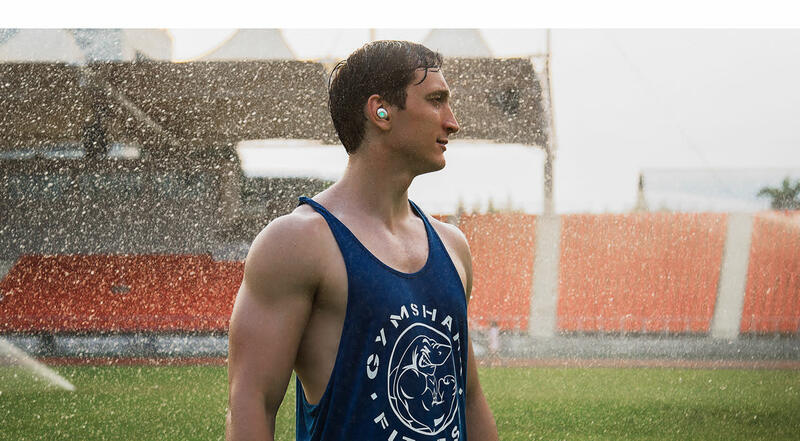 Our team has worked tirelessly to guarantee high-quality sound clarity - unparalleled at this tiny size. 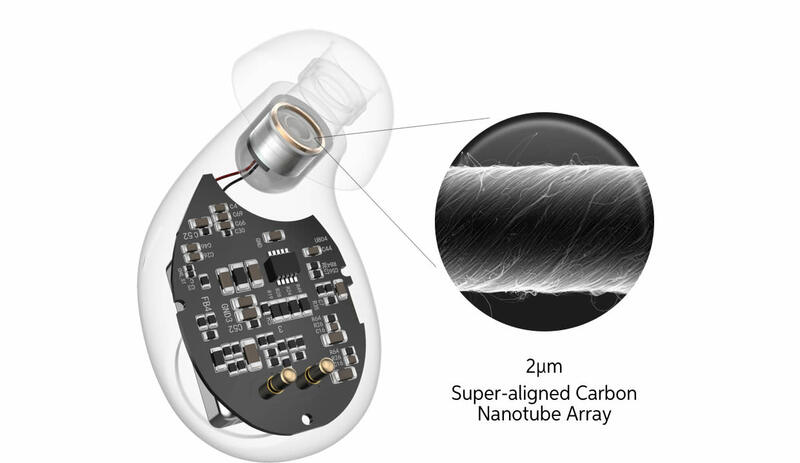 We passionately designed a larger-than-life acoustic system by utilizing a carbon nanotube diaphragm. 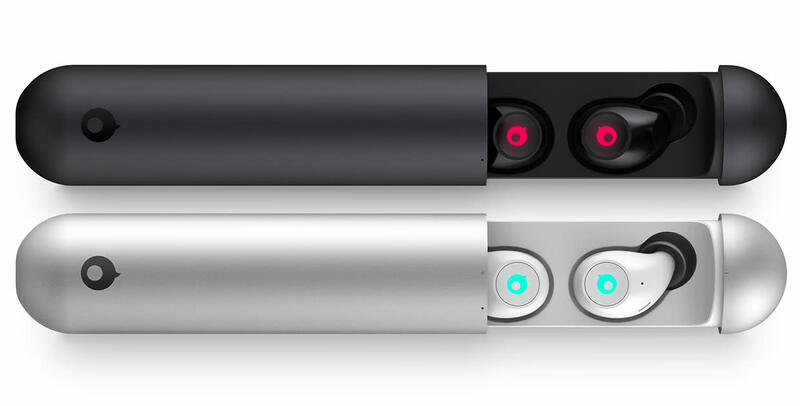 As a result of this design, the speaker driver is compact and durable, with the ability to deliver ultra-fast responses for elegant, sophisticated sound. 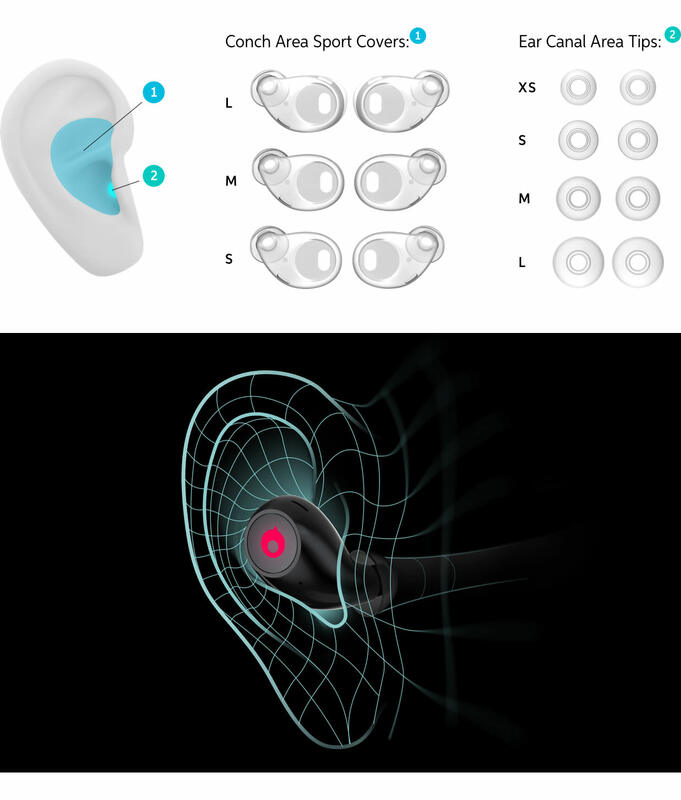 In addition to utilizing cutting-edge carbon nanotechnology, we customized the 5.2mm speaker driver using industry-leading model analysis, fine-tuning and adjusting the positioning and size of every element in the speaker chamber. 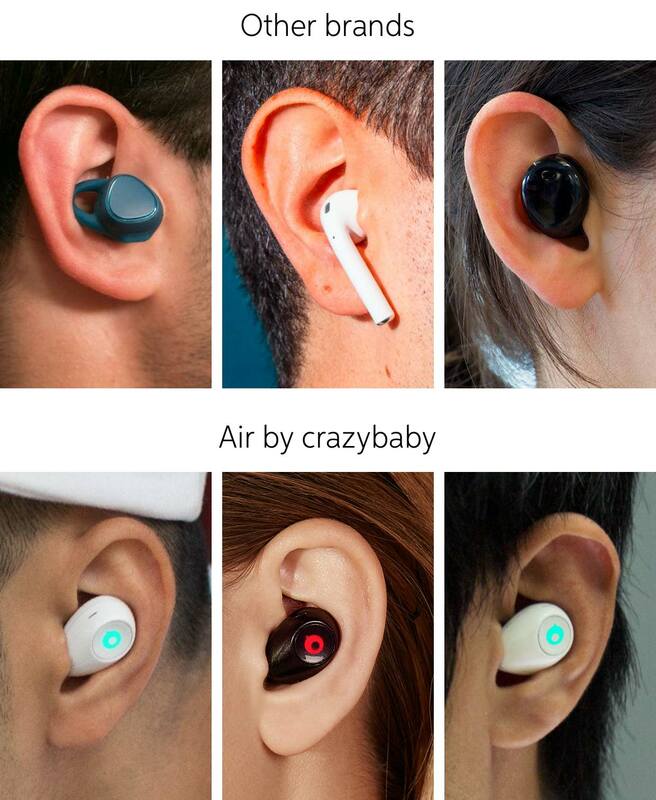 crazybaby’s acoustic team is led by the electroacoustic legend, Dr. Yu, an extraordinary industry leader whose professional life has been devoted to creating innovative audio solutions. 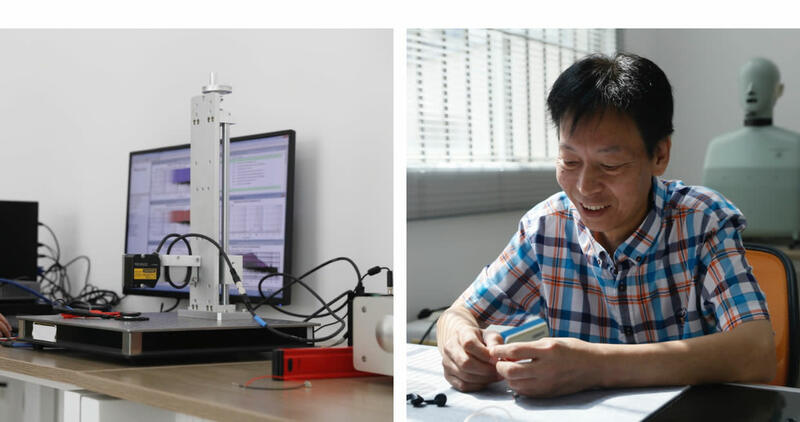 Under the direction of Dr. Yu, our acoustic team spent countless hours determining the perfect size, height and angle for each electroacoustic element. 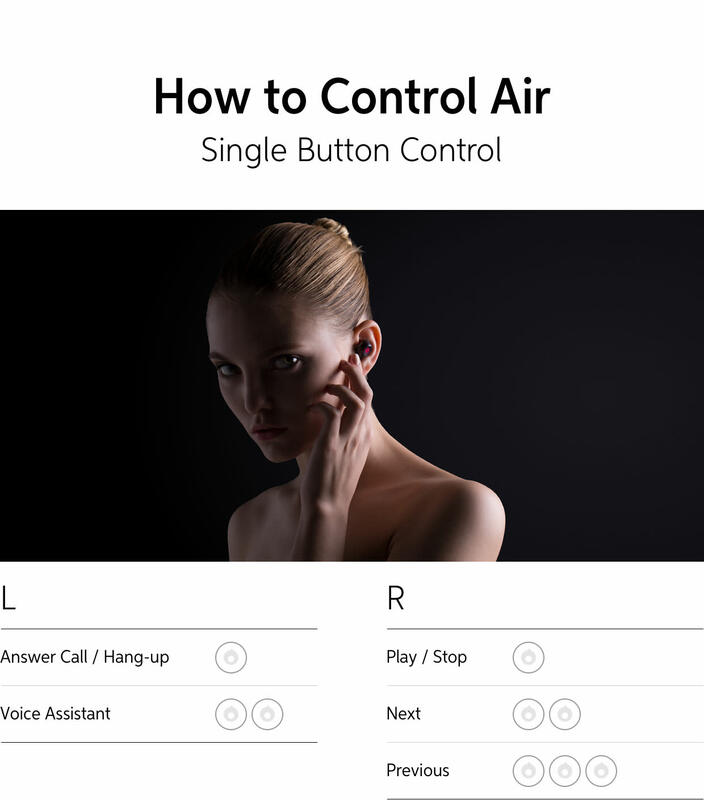 To create Air we partnered with Tsinghua University and Foxconn Associate Labs. They’ve spent nine years researching and developing advanced carbon nanotechnology (CNT). 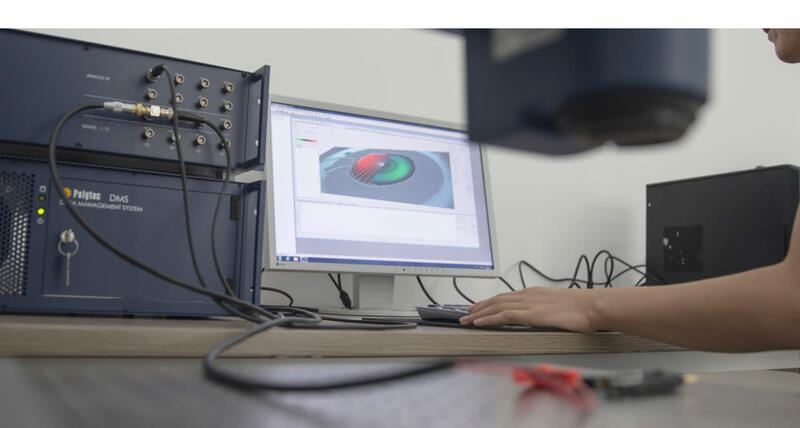 All CNT diaphragms located inside of Air headphones are made individually, instead of being mass-produced, so as to ensure each one independently meets the strict quality standards set forth by the Lab. 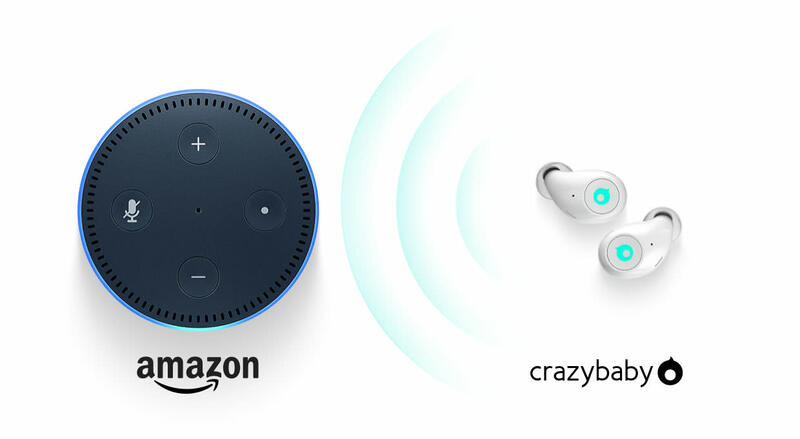 CVC 8TH Noise Isolation Technology ＋ Air's double digital silicon microphone work together to maintain call quality by efficiently mitigating background noise. 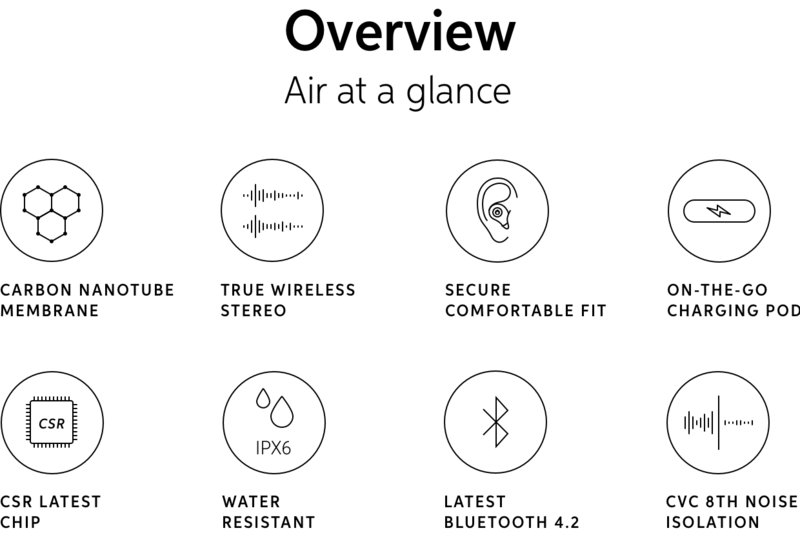 Air uses Bluetooth 4.2 (the newest bluetooth technology) to ensure crystal-clear stereo sound while paired with your device. 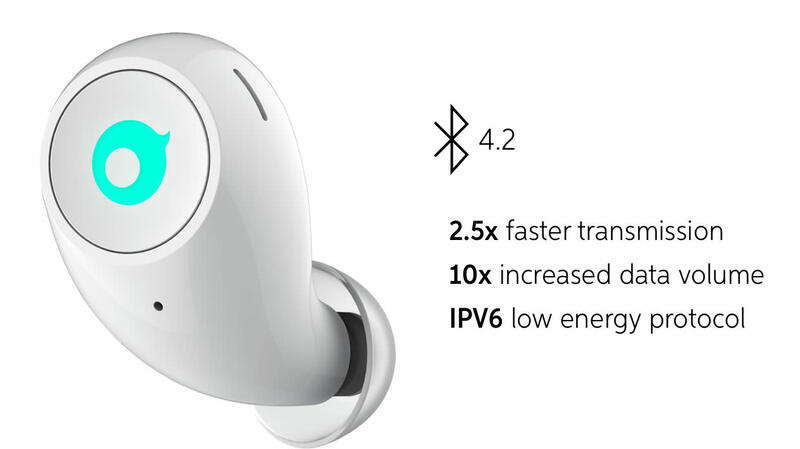 Compared to its predecessor, this new Bluetooth protocol increases data transmission speed by 2.5x, data volume by 10x and for the first time ever, connects over IPV6 to decrease energy consumption and provide safer internet access. 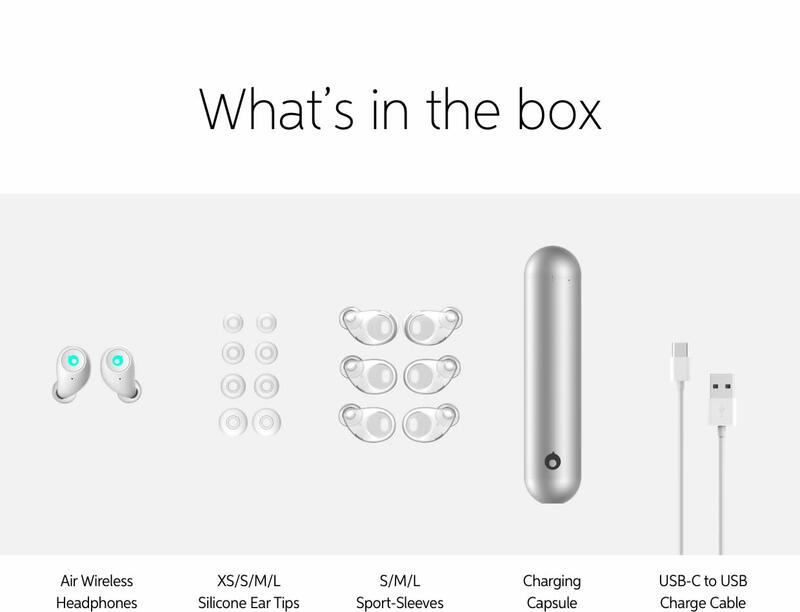 In a world flooded with Bluetooth technology, Air is a cut above the rest. 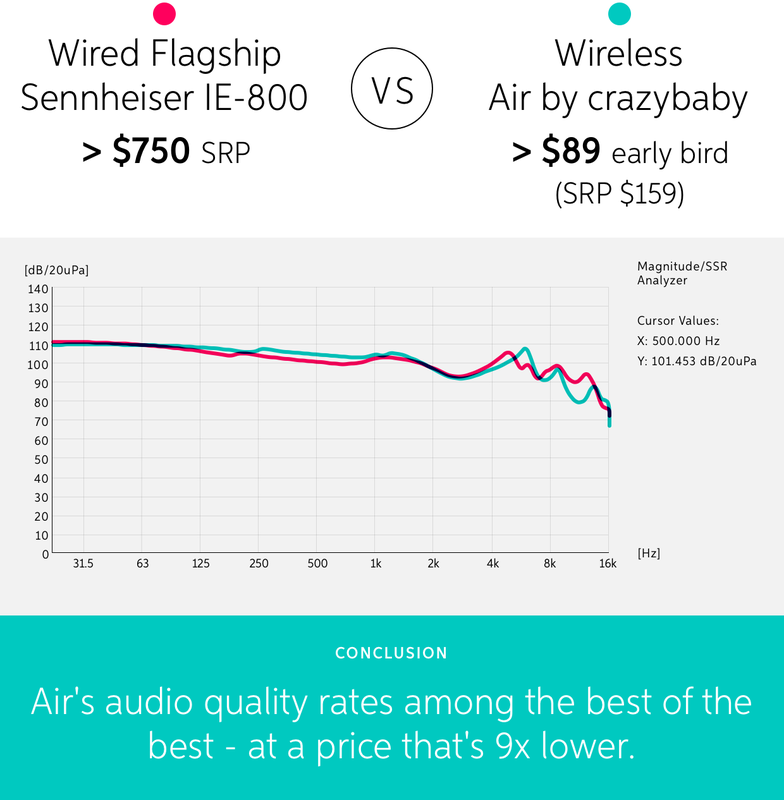 By including the latest embedded TWS (True Wireless Stereo) chipset, Air delivers high-performance sound without additional bulk. 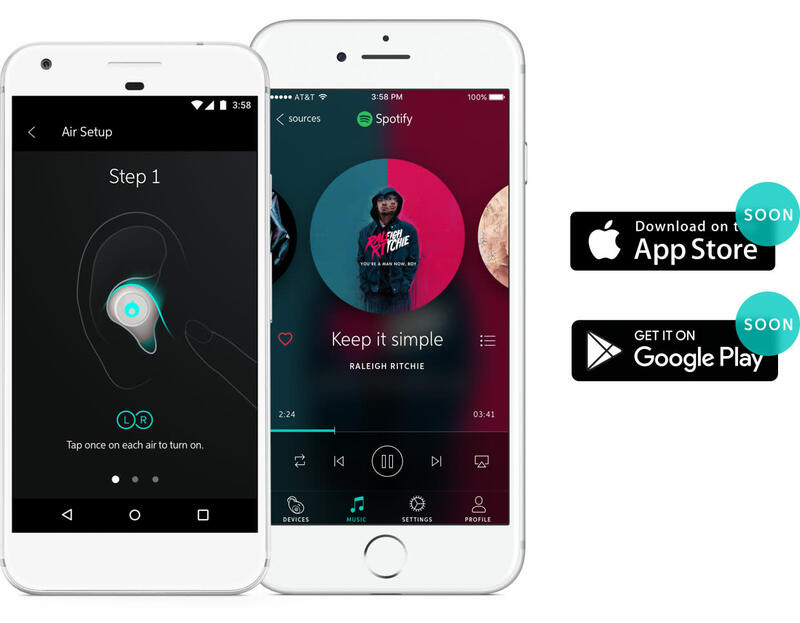 The free iOS and Android apps will get your listening started in a beat, and allow you to customize your EQ to hear exactly what you're looking for. In addition, the transit time depends on where you're located and where your package comes from. You can track your order's shipment in My order history . We accept payment through PayPal and Directly via debit & credit card.